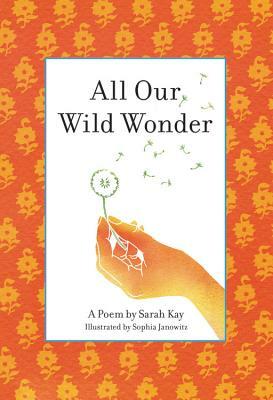 From renowned poet Sarah Kay, a single volume poem perfect for teachers and mentors. All Our Wild Wonder is a vibrant tribute to extraordinary educators and a celebration of learning. The perfect gift for the mentors in our lives, this charming, illustrated poem reminds us of the beauty in, and importance of, cultivating curiosity, creativity, and confidence in others. Sarah Kay is the author of three additional poetry books: No Matter the Wreckage, B, and The Type. She is the founder and co-director of Project VOICE, an organization that brings spoken word poetry to schools and communities around the world. Sarah has been invited to share her poetry on such diverse stages as the 2011 TED Conference; the Malthouse Theatre in Melbourne, Australia; the Royal Danish Theatre in Copenhagen, Denmark; and Carnegie Hall in New York City, among hundreds of other venues around the world.